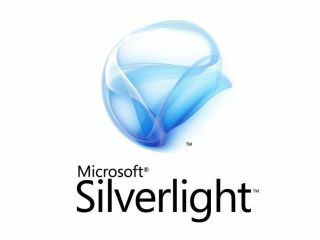 Silverlight to power Windows Phone 7 Series apps? Silverlight is looking likely to being the developer platform for Windows 7 Series applications, with Microsoft set to make an official announcement in March. The Flash rival is to be shown-off at Mix10, where Microsoft is offering attendees the chance to learn how to work with the Windows Phone 7 Series. So far Redmond has been very coy about revealing any details about the OS, although Mix10 will feature a Silverlight bootcamp. When asked, a spokesman would only say: "While we are not sharing details about the Windows Phone 7 Series development platform or marketplace publicly at Mobile World Congress, you can expect much more information about the developer tools and opportunity to come at MIX in March." However, it's a move that makes sense for Microsoft. The company has been touting Silverlight for some time now, and it will offer the "natural user interface" it wants, and which has already been adopted by the iPhone. Although Silverlight apps are coded with another Microsoft product, Visual Studio, meaning developers don't need to learn any new skills to move from desktop to mobile apps, its adoption will raise some questions. It already has a lot going for it, since it will be ideal for video, audio, and data-based apps so vital on a smartphone. Microsoft CEO Steve Ballmer has already said that the first version of Windows Phone 7 Series won't support Flash, making Silverlight the obvious platform. Silverlight is the official web multimedia player of the 2010 Winter Games in Vancouver. But you can't blame it for the problems the event is having.